All firms are trying to do the same thing - sell products or services to customers to help them achieve success which increase the company's bottom line revenue stream. Companies compete by communicating their unique attributes (or value proposition) so they can become a preferred resource for their clients/targets. There is a problem, however. Customers have a variety of companies they can purchase their products/services from, and many times customers can not differentiate between companies. For those companies that can differentiate, they are magnets for increased traffic and customer conversion. The Marketing Leadership Council of the Corporate Executive Board (CEB), say the biggest failure point in most company value propositions is "proximity." Most companies, based on their proximity to their own company and products, overestimate the uniqueness and relevance of the benefits they promote. Companies tout attributes such as customer service as a differentiator. But research has found that decision-makers see those touch points as marginal or poor drivers of preference. What really gets customers excited is hearing about clear, unique benefits that address their business needs. How can you avoid parity in your messaging? A key is in how you think about differentiation - is it through value propositions or value creation. Value propositions are important to businesses. These statements are essentially their benefits statement - how they are different that their competitors. These statements are focused on the attributes of the product and/or company. Value creation is an approach to customers that focus first on the consumer, then how your capabilities/products/solutions help them meet their goals and needs. It encompasses the value proposition in a way that allows companies to better communicate and link solutions to what a consumer needs. Value creation is an approach to the market place that helps identify opportunities and align your solutions/ideas around them. It is less about products and solutions, and more about customer centricity, customer experience, people, and relationships. It allows you to step back to ensure you understand the profile of your target buyer, why they are in need of, and what capabilities you have to help meet those needs. Understand who your target is - What is the profile of the buyer you want and who you will communicate with? 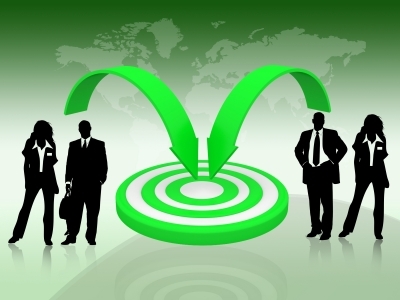 You may have several target groups, so defining them will help you with your efforts. Without this first step, marketing initiatives have a lower chance for success. Determine the messaging (this is where the value proposition comes in) - how you can assist in the targets buying process. Ensure you have proof points to back up you messaging. Ensure your messaging is alignment with your brand positioning as well. The value creation/selling approach to communications is an efficient way to help provide a proactive image of your product/company to clients and potential buyers. To read more on the topic, visit Partners in Excellence to read an interesting article entitled "Your Value Proposition is no Longer Sufficient."